Succulents leaves are the biggest concern when it comes to taking care of this type of plants. They store the water in their stems and their thick leaves. 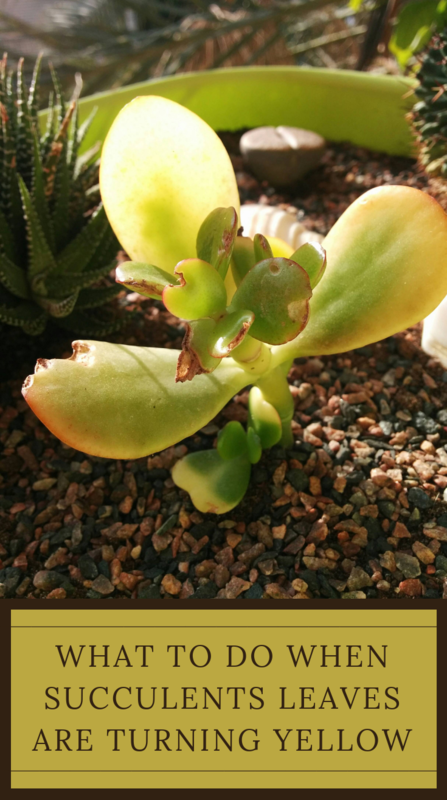 That is why most succulents have that vibrant green on the leaves. However, when the leaves are turning yellow, there is a cause for concern. Thus, what to do when succulents leaves are turning yellow? Well, keep reading to learn how you can step in and fix this issue and also to prevent more damage to the plant. Most of the times, the soil will take you what’s wrong with your plant. In this case, you might notice there was some overwatering. Hence, as you can see, constant watering can make the soil rot until it gets to the roots. Hence, this rot will interfere with the plant’s ability to get the water and nutrients it needs from the soil. Thus, if you touch the soil and you can see the overwatering is the cause, take a step back. Let the soil dry and then see how the plant reacts with smaller amounts of water on several days. Sometimes, this is all it takes. If overwatering wasn’t the problem, that means it might be necessary to change the soil entirely. Thus, it is time to remove the soil from the pot and shake the debris from the roots. Then you can proceed with repotting the succulent in a new pot making your own potting soil mix. You can do this by incorporating 1 part perlite, 2 parts potting soil, and 1 part coarse sand. Make sure the container has a large drainage hole. My favorite kind of pot or succulent is the unglazed ceramic one because it will allow the soil to dry quickly. If you still notice rotten black stem, then the problem could be the lighting. Most of the succulents will be able to handle a lot of light. However, there are others that need a more gradual approach. Thus, make sure you are constantly moving the plant into a brighter spot and in indirect light.